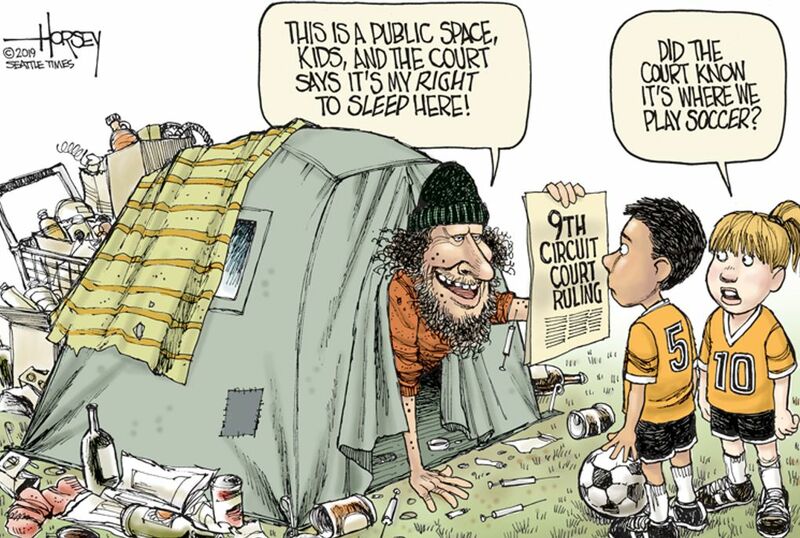 Court says homeless can sleep in public spaces if cities fail to provide beds. It doesn’t matter if they become trash heaps, drug dens or open-air toilets, homeless encampments cannot be removed from public spaces if a city fails or falls behind in providing enough places to sleep for every person out on the streets. That’s what the Ninth Circuit Court of Appeals has ruled, thereby throwing a big curveball at efforts to stop the proliferation of tents in Seattle and other cities in the Western states.